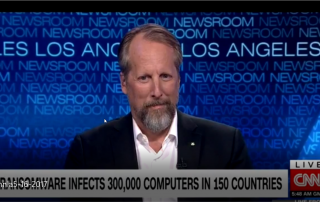 Cybersecurity expert Rod Beckstrom on CNN Newsroom 5-15-2017 discussing Ransomware attacks. 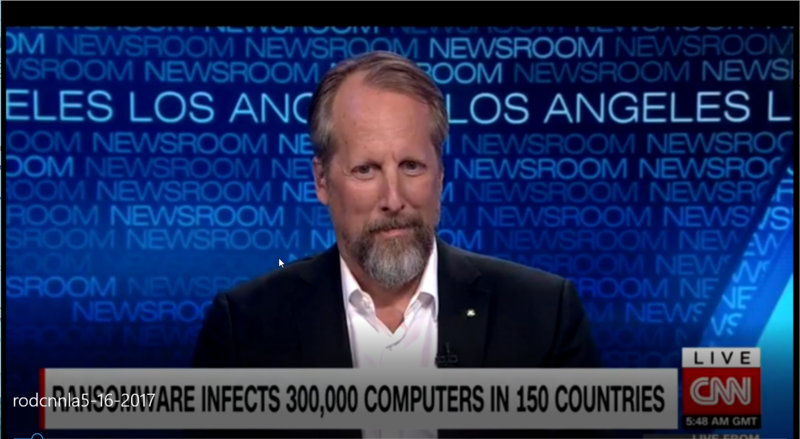 Cybersecurity expert Rod Beckstrom appeared on CNN Newsroom to discuss the Cyber Ransomware attacks and some preventative measures that you can take to protect your computers and data. 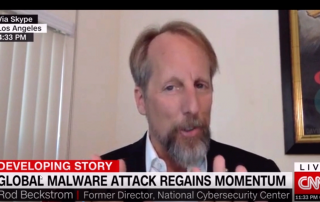 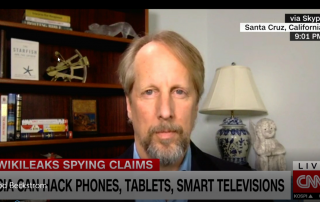 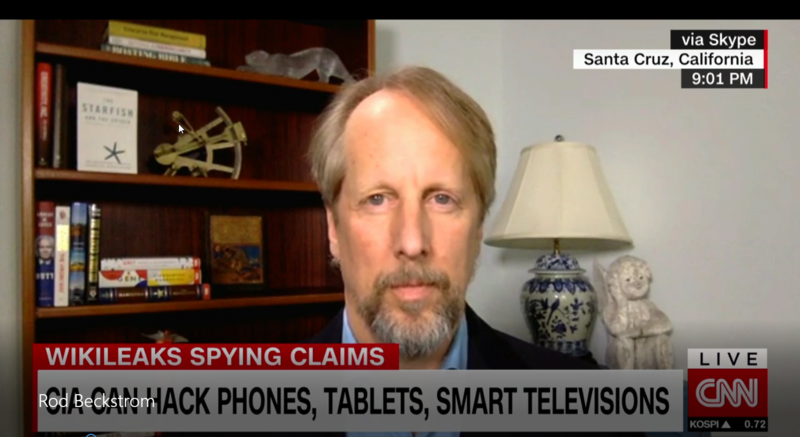 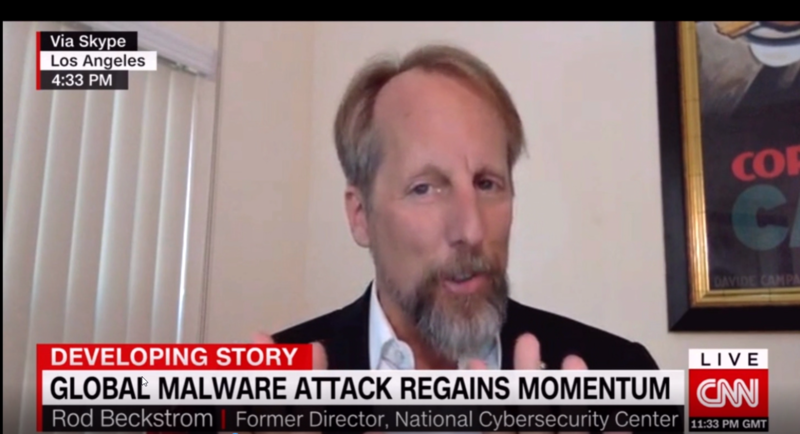 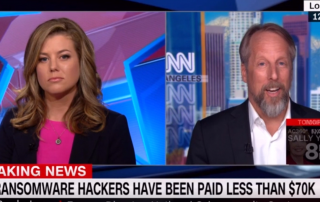 Cybersecurity expert Rod Beckstrom appeared on CNN to discuss the Cyber Ransom attacks striking Europe and Asia and some preventative measures that you can take to protect yourself. 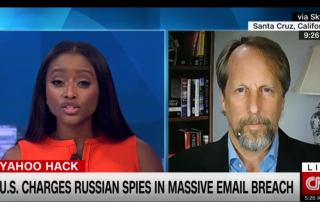 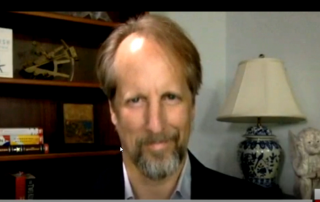 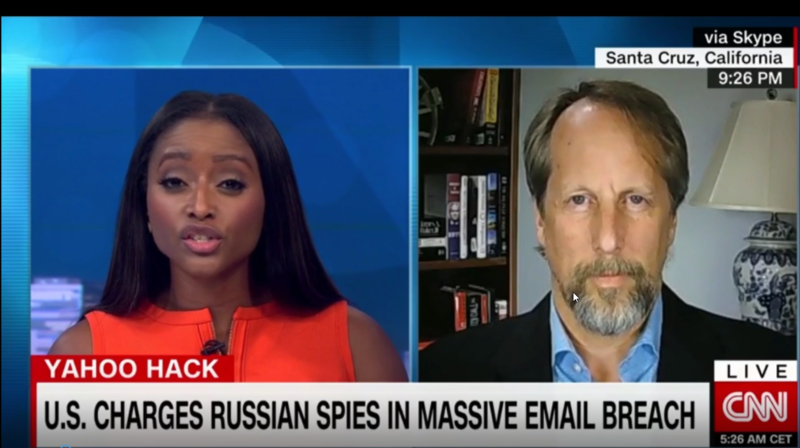 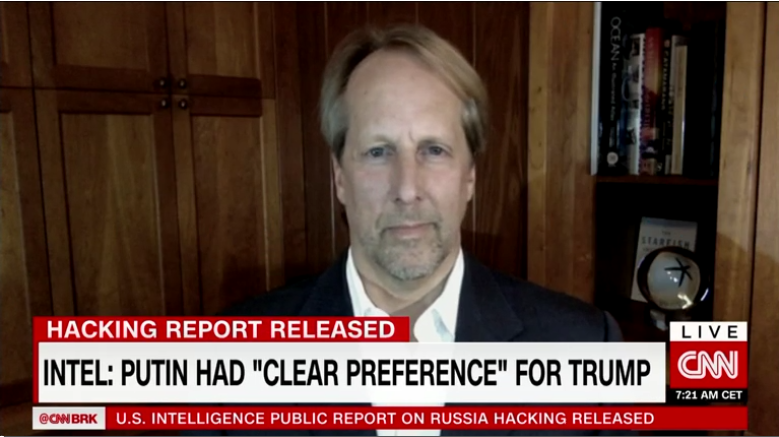 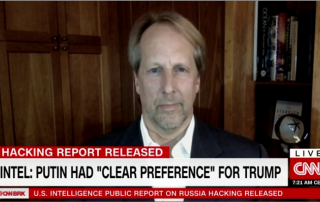 Cybersecurity expert Rod Beckstrom appeared on CNN NewsNight to discuss the cyber-hack of Yahoo by Russian spies and hackers. 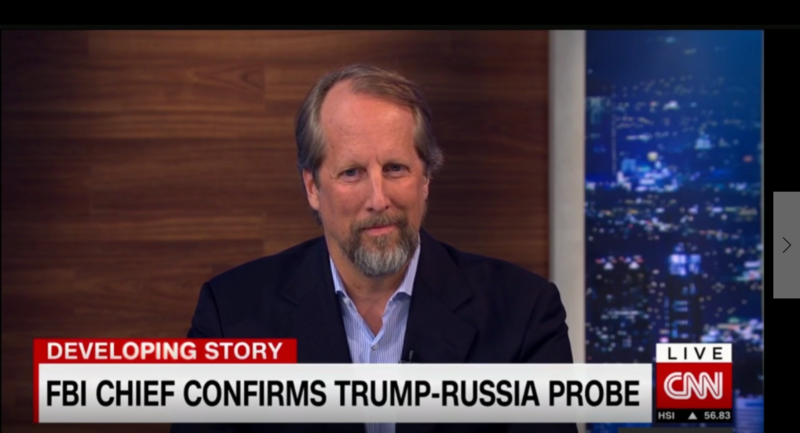 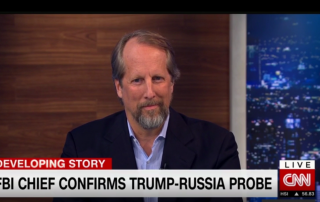 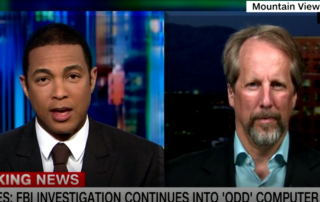 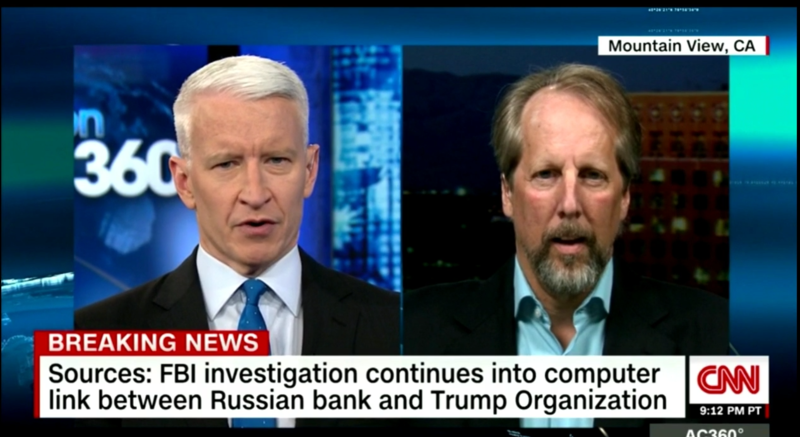 Cybersecurity expert Rod Beckstrom appeared on CNN with Don Lemon to discuss allegations of mysterious link between Russian bank and Trump Servers. 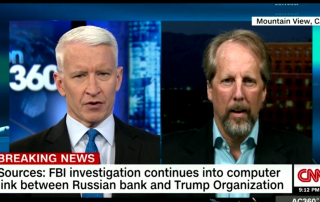 Cybersecurity expert Rod Beckstrom appeared on CNN 3/9/2017 with Anderson Cooper on AC360 to discuss alleged links between Russian bank and Trump servers.